If you’ve read much around technological innovations within the financial services industry lately then you will have noticed Artificial Intelligence (AI) has been regularly discussed. Almost all consumer and investment banks have publicly stated that AI is vital to the successful future of banking, however, everyone’s strategy for the future use of AI is vastly different. Hiring strategies are wildly differing, with some firms hiring in the thousands to work on AI programs whereas other firms are building smaller teams of around 20. As recruiters, and specialists in this space, we are seeing a real mix of requirements in this area, and, for the first time ever, there has been a shift in the types of candidates finance companies are willing to look at. Due to the incredibly high demand to hire for these programs of work, firms are starting to look outside of Financial Services and some have made major hires from individuals without this background and experience. Historically known as an extremely hard industry to break in to without having started your career in finance, this shift is pretty big news for candidates who want to work in Banking! But why is there such a big need for candidates with skills in data science, machine learning and AI all of the sudden? What are the big finance firms actually doing, or planning to do with this technology? Well, great questions reader! Let’s take a look at some of the largest banks and see what type of projects they’re working on within AI. As I was writing this I saw that JP Morgan had hired Manuela Veloso from Carnegie Mellon to be their first Head of Artificial Intelligence Research. Hiring the leading computer scientist from one of the top computer science schools in the country is a major coup for the firm, especially as that will likely attract further AI scientists to move over to join the team. JP Morgan are already playing a lot in this space with an AI Trading Bot that makes recommendations to human traders and plans are in place for it to start executing its own trades in the near future. JP Morgan have also announced earlier this year that their technology budget for 2018 is $10.8bn with nearly half of the budget earmarked for new investments, expect more announcements from the bank around AI tools across wealth management and consumer lending. Former CEO John Cryan once stated that he wanted to replace around 50,000 staff with robots. Although John has since left Deutsche Bank, he was not replaced by an AI bot but instead by a human, Christian Sewing (Cyborgs 0, Mankind 1). Although Deutshe Banks major focus right now is reducing their trading volume in the US and streamlining their IT systems, the German banking giants are doing some pretty cool stuff in AI within the fraud space. They are using speech recognition capabilities to listen to all of their dealer clients for any hints of non-compliance or fraud with high accuracy. Although there has not been much hiring demand currently in the firm, expect future investment around AI and Robotics. The 16,000 financial advisers at Morgan Stanley are going to soon have their own personal assistants that will rival Joan (Mad Men) and Donna (Suits) for the company MVP award. Morgan Stanley are currently rolling out AI technology with machine learning algorithms that suggest trades, take over routine tasks and even send reminders when a client’s birthday is near. Future upgrades include the assistants being able to work out the best time for advisers to call customers to help generate more business. Morgan Stanley are also creating the AI Fraud Detection Team which can quickly examine every single transaction to find anomalies, potentially reducing the amount of work required for humans to assess and investigate potentially fraudulent transactions. Goldman Sachs are one of the busiest banks within the AI space currently. Their consumer lending platform, Marcus, uses machine learning based AI to provide advice to customers to aid them in making better financial decisions around borrowing and saving money. They have already issued over $3bn in loans since its inception. Goldman Sachs seem all in on AI with the promotion for the CIO, Marty Chavez, into the CFO position and the hiring of one of Amazons top AI executives Charles Elkan, to lead and drive the AI strategy and automation across the business. Hiring Charles Elkan in shows even the almighty Amazon is vulnerable to losing their top talent when the banks come calling. Other rumored projects (although no official announcement yet) includes Goldman Sachs potentially building their very own blockchain, vast automation across the business as well as moving into cryptocurrency trading. While the above firms are leading AI technology through in-house work, there are a number of businesses who are very active in acquiring and buying many fintech firms. Banks such as TD Bank, Citi Group, Barclays and Santander have all created venture funds to invest and acquire AI tech. As of right now, Goldman Sachs is the biggest player in fintech acquisitions followed by Citi. Who is more valuable, Trader or Technologist? Investments Banks are known for looking for competitive edges. The major trend here is investment of money and talent into the technology groups. JP Morgan, Goldman Sachs and Morgan Stanley are all hiring leaders from outside of finance and their influence in these positions will likely trickle down. The huge budgets given to these teams and the way they are structured is to foster innovation and when Lawrence Harvey have hired for these teams, these firms are putting a large focus on their technology teams interacting and working closely with the business units. Although a background in finance is no longer a pre-requisite for technology roles in banking, a strong interest in finance is still needed to secure a job in one of these firms. During interview processes, if you don't come from banking then these firms are looking at personal projects and interests to see if there is a desire to work in this space. 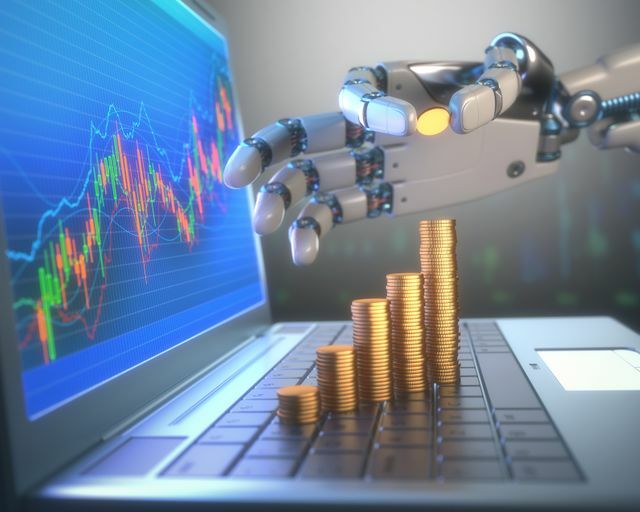 Banks are using technology to help automate the role of the trader as well as find ways to improve traders ability, minimize risk and detect fraudulent behavior. Does this strategy mean that the trader is now going to play a support role to the technologist moving forward? Judging on salary shifts over the past 2 years, it sure looks like it. Want to discuss your AI recruitment strategy? Considering a move? Drop me an email and let's schedule a call.